Home Columns It’s Fire Prevention Week! 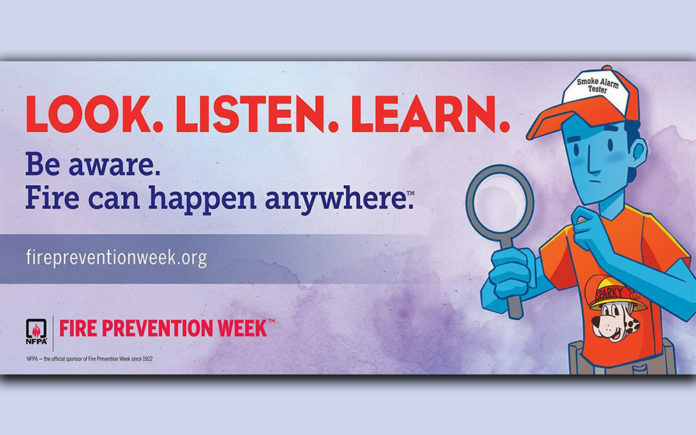 The National Fire Protection Association has announced the theme for its Fire Prevention Week 2018 campaign: Look. Listen. Learn. “Be aware – fire can happen anywhere,” reminds Fire Chief Sam DiGiovanna.